A little bit of work stemming from from the soil temperature monitoring project; this is an aside on DS18B20 temperature sensing device address discovery with the Arduino. Being that I am going to have a handful of sensors in the ground and therefore not easily accessible for identification I need to find a way of easily finding out all the device addresses in one fell swoop. 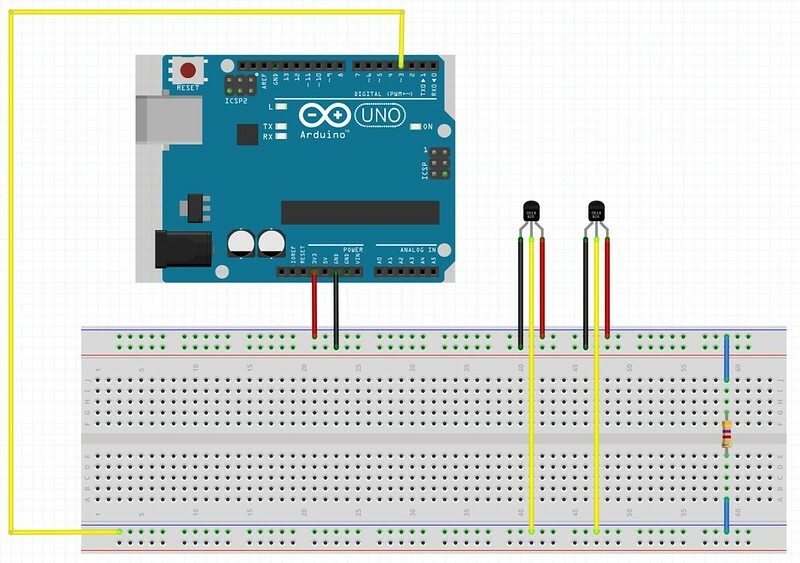 As already discussed in Soil Temperature Monitoring - Part One connecting the DS18B20 to an Arduino is trivial; ground, positive and data are all that is required, with data to the Arduino digital pin 3. Pull up is achieved with a 4K7. Below is a sample of the code I used to discover the sensor addresses. Now it will just be a process of elimination to find out which sensor matches which address.